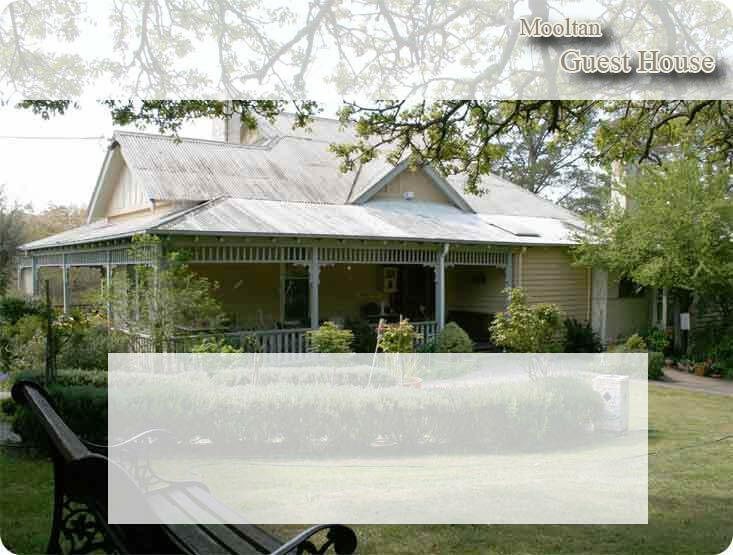 Mooltan Guest House is a gracious Edwardian Guest House with 5 bedrooms all opening on to wide verandahs and downstairs the 3 new studio apartments have their own bathrooms with Japanese baths and modern kitchen facilities. Mooltan offers the experience of "going home" to a large country house and not having to do the dishes. History sets the style, Mooltan was built in 1924 and was originally known as Spring View before being renamed after a P&O ocean liner-"Mooltan". 129 Main Rd. Hepburn Springs 3461.